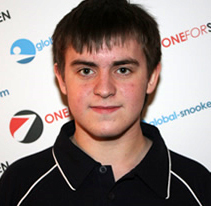 The latest in a long line of talented young Welsh snooker players, Jak Jones entered the PIOS for the first time during the 2009/10 season and at the age of just 16 impressed with a run to the final of Event Four to help him up to 10th position in the rankings by the end of the campaign. 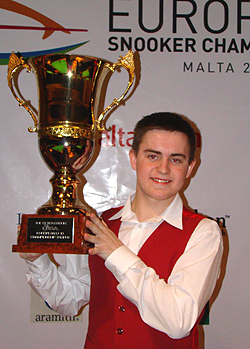 The real highlight of Jak’s season however was to come at the 2010 European Under-19’s Championship in Malta where he progressed all the way to the final before defeating Scottish talent Anthony McGill 6-4 to capture the title and in the process, ensure that he would be nominated for a place on the main tour for 2010/11. “When I came out here I thought I had the ability to win, but I didn’t really expect to, with so many good players here. “Today every time I got ahead I was trying to get two frames up, but I couldn’t, Anthony kept coming back at me. He played really well but I think I just potted a couple of outrageous balls at vital times to get in. “Also I stole two frames with clearances from a long way behind. “I learned a lot this season from the PIOS. Before I would never have believed I could win a frame from 70 behind. 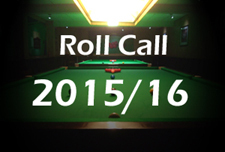 “I didn’t expect anything when I went on the PIOS as I was just coming straight from Welsh Junior Snooker. It was a lot of money for my family to find for me to play and I’m really grateful to them for giving me the chance. “To be nominated to turn professional is just unbelievable. To go from the Welsh Juniors to the Professional Ranks is a fairy tale. Jak’s maiden season on the professional circuit was to prove a tough one initially as he lost his opening Shanghai Masters and World Open qualifiers to Zhang Anda and Joe Jogia respectively. His best performances in the PTC saw him twice reach the last 32 stage, but during the season’s seven full ranking events he was able to win just one match, a 4-2 victory against David Gilbert. 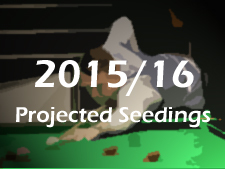 As a result Jak would finish the season ranked 94th. Competing in the PTC events as an amateur in 2011/12, Jak saved his best performances for the South West Snooker Academy as he won five matches to reach the last 16 of the PTC2 event, while he also defeated Peter Lines and Tom Ford to reach the last 32 of PTC7 before losing to Liang Wenbo. He also impressed in Sheffield at PTC12 as he saw off Ian McCulloch to reach the last 32 before losing out to PTC5 winner Andrew Higginson. 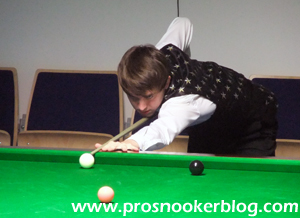 A regular at the season’s PTC events as an amateur, Welsh youngster Jak was able to regain a place on snooker’s main tour for the following two seasons, with wins against Elliot Slessor and John Parkin at the inaugural EBSA play-offs. Jak was to endure a difficult season on his return to the main tour, failing to win a single match in either full-ranking event competition or during the year’s eight European Tour events. Again, the 2014/15 season was to be another short of wins for Jak, but he was to finish the campaign on a strong note by defeating Aditya Mehta and Jack Lisowski at the World Championship qualifiers, before losing 10-6 to experienced countryman Ryan Day at Ponds Forge. Earlier in the season he was also able to defeat world number one Neil Robertson at the Riga Open on his way to the last 16, but these runs were not enough to see him stay on tour at the end of the season as he finished ranked 95th.